We recommend making an appointment for a dental checkup at our office in Collingwood, ON every 6 to 9 months. When it comes to taking good care of your teeth, brushing and flossing regularly are both essential activities. However, without seeing a dentist regularly, you might run into dental problems even if you are diligent about brushing and flossing. At Georgian Shores Dental Centre, we recommend making an appointment for a dental checkup at our office in Collingwood, Ontario every 6 to 9 months. At your checkup, we will start things off by thoroughly cleaning your teeth. 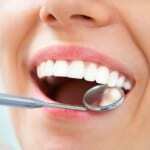 Then, one of our dentists will examine your teeth and alert you if there are any issues that need to be taken care of. Since we want to provide you with an excellent experience every time you come in for a dental checkup, there are a few things you should let our friendly staff know before the start of the examination. These include whether you experience dental anxiety, if you have been diagnosed with any medical conditions or are on new medications since your last appointment, and if you have recently experienced any issues with your teeth or gums. With this information, we will be better able to provide you with effective care and make recommendations for taking care of your oral health. Give us a call at Georgian Shores Dental Centre today to schedule your next dental checkup and to find out more about what these appointments include. As your dental provider, we are always here to provide you and your family with commendable service and care. At Georgian Shores Dental Center, we offer dental checkups at our Midland and Collingwood dental clinics for residents of Collingwood, Creemore, Midland, Nottawa, Penetanguishene, Perkinsfield, Port McNicoll, Stayner, Thornbury, Victoria Harbour, Wasaga Beach, and Wyevale, Ontario.